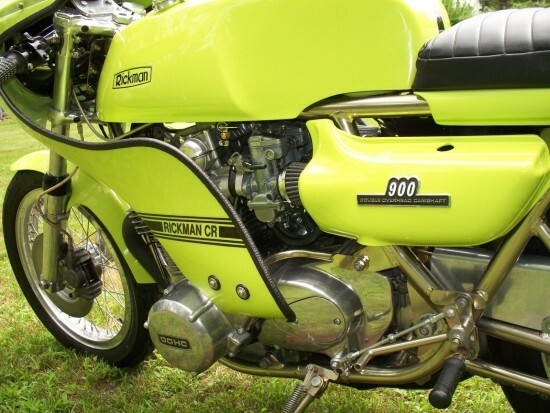 Today’s Kawasaki-powered Rickman CR900’s most distinguishing feature, aside from its overall impressive condition, is that stunning paint. Colors like this can be difficult to photograph, but I think the seller has done an excellent job with this unusual paint. 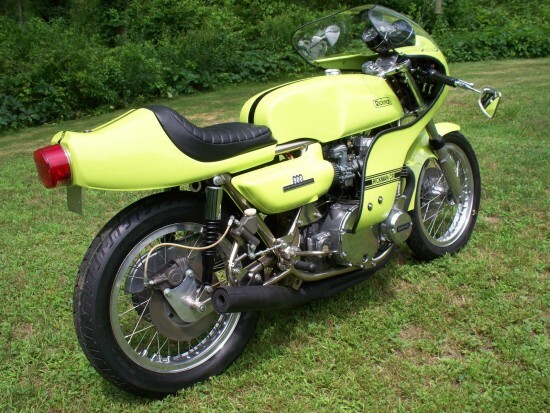 The “900” obviously indicates the displacement, as the bike was powered by Kawasaki’s powerful 903cc Z1 engine, but stuffed into a gorgeous, stiff nickel-plated frame that significantly improved on the original machine’s merely adequate handling. Which makes sense, since handling improvements were Rickman’s stock in trade. 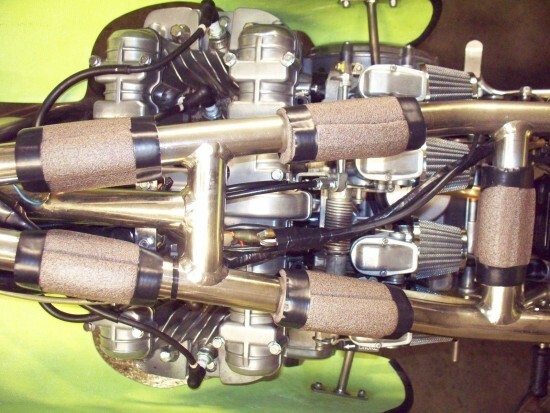 Started by Don and Derek Rickman, the company began by building off-road racing bikes designed around existing engines and transmissions. By the 1960’s, they’d started building roadcourse and streetbikes, at first based around British twins but later using the new Japanese multis. This was a perfect marriage, since the Honda CB and Kawasaki Z1 were powerful and reliable, but didn’t really have the frames or suspension to make them competitive on track. It’s not really clear how many CR900’s were actually built: Rickman sold these as kits, sans engine, transmission, and electricals. And while you could buy them complete through various shops, many were built at home in the proverbial shed, making the exact numbers built difficult to discern. Regardless, Rickmans of any stripe are hard to find in this condition, regardless of powerplant choice. You maybe looking at one of the rarest bikes on the planet. 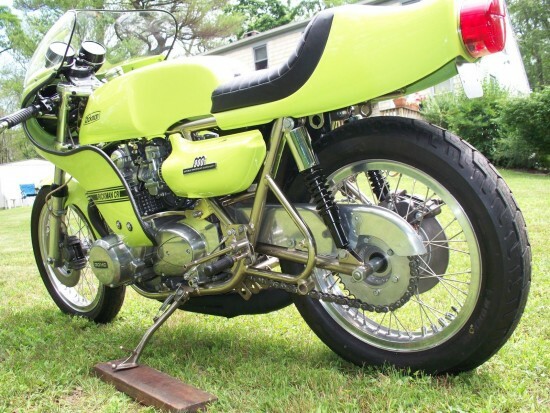 This bike is titled as a Rickman and not as a Kawasaki. The bike is titled as a 1978. The I.D. plate fixed to the steering neck indicates September, 1977 chassis and is the correct id plate for this bike. 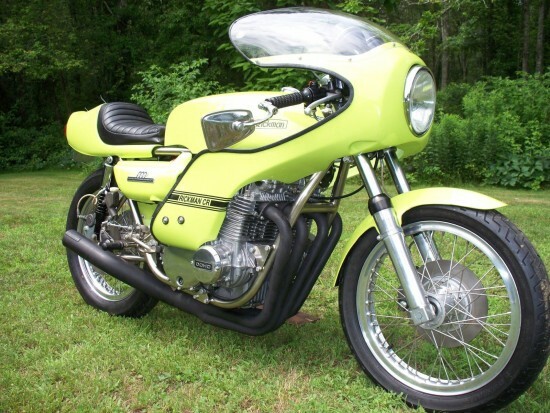 Almost all of the Rickman CR900’s, of which few were built, were finished in green This bike has the orgiinal gel coat in red. The bike is original in color and I know of no other with this color. This is an original machine in pristine condition and rides like a rocket ship with the responsive and light frames built by Rickman powered by the Kawaski 900 cc motor. This bike performs as good as any modern bike today. The 900 cc motor number is Z1E 238xx. This Rickman chassis was purchased in England by the original owner while vacationing there. The milage on this bike is less than 9,000. Most of these miles were accumulated prior to the motor being installed into the Rickman. Thus this Rickman frame has seen very limited use. The original rear sprocket shows virtually no wear. The saddle looks near new. 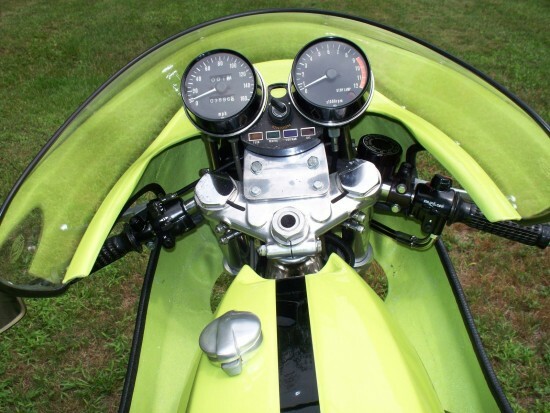 The instruments are from the original Kawasaki and show the mileage covered by both the kaw and the Rickman chassis. 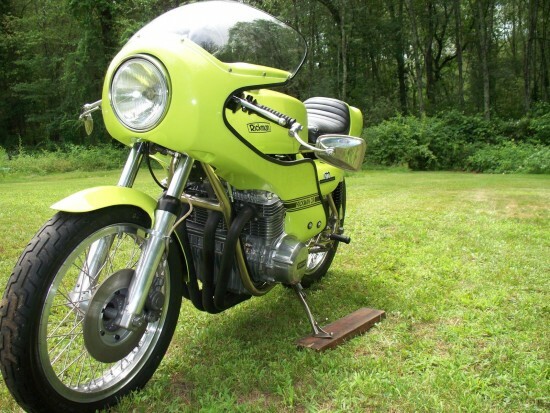 If you are looking for an original colectable motorcycle that is sure to increase in value look no further. Rickman motorcycles, are extremely rare and have proven in the past to be highly desirable and with their limited production should continue to increase in value.